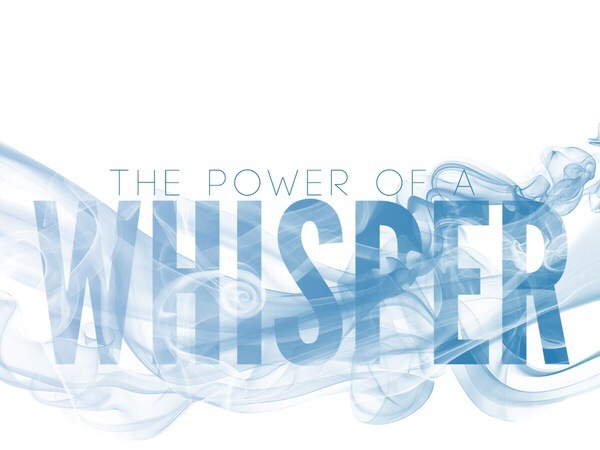 It’s in the Whisper – Journey of Emotions! Cool breeze blows through the open window, fluff the pillow to perfection, lay my weary body down to sleep, adjust, manipulate and position myself just right. In both anticipation of deep sleep and celebration of the close of another day, I sigh with an exhale that releases and relaxes. That’s when they start! Voices of needs and demands, murmurs of doubt, shouts of fears and failures all wrestle for attention. Some can be easily silenced due to priority or absurdity of content. Others linger and haunt with intense pollution that fogs clarity of truth. “You’ll never amount to anything,” blows in and threatens my stamina and momentum “You’re too broken and corrupted,” shakes the foundation on which I stand. “Nobody can love you,” set fire to the truth in my soul. Where is the mighty voice to stifle the others? Where is the roar that all other sounds bow to? I needed this. This scenario is exactly what I have been dealing with for the past few nights. Thank you for the reminder. “…and I have you in my sight.” Needed to read those words. Thank you.